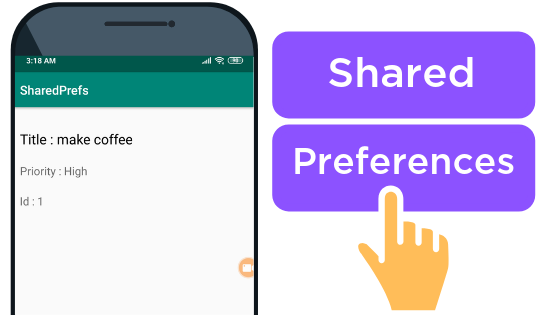 In this blog I'm going to show you how to work with Shared Preferences in Android. Android system provides many ways to save data for your application . One of them is Shared Preferences . Shared Preferences allows you to save data in key-value pairs and it stores all primitive types(booleans,int,strings etc). Shared Preferences can be used to store small amount of data like single text , some numerical value or saving some user settings. The data stored in Shared preferences remains in file till the app is uninstalled . It persists across the app restarts and even phone restarts. When you want to store large amount of data , Shared preferences is not the option then you should go for local database or cloud database. We will build the simple Todo App which will store the title , id and priority of TODO in Shared preferences and on other screen , details of TODO will be displayed by retreiving data from preferences. Note: In this blog we will be storing multiple primitive data types to Shared Preferences such as Boolean , Integer , Strings . Open activity_main.xml file and add the following code . 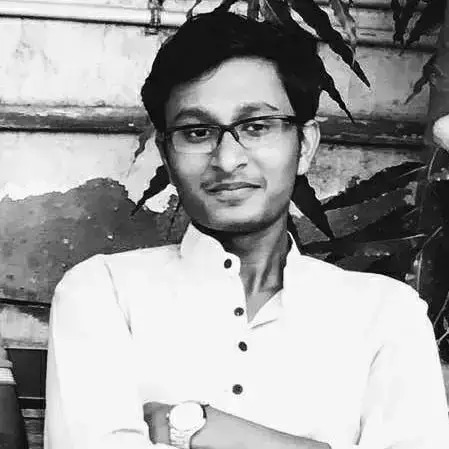 It contains three textViews for title , id , priority and one button for "Add new Item" which will navigate to AddTodoActivity, also create another empty activity named AddTodoActivity and open activity_add_todo.xml and add the following code . It contains two Editext for title and id , two Radio buttons for priority and one button for "Add Todo". getPreferences() : when you want to get activity specific preferences , this can be used from acitvity. getSharedPreferences() : when you want to get application specific preferences , this can be used from activity or other application context. getDefaultSharedPreferences() : when you want to get preferences that work with Android's preference framework. Note: "getDefaultSharedPreferences" will be what you should use 99% of the time . It's the most general. MODE_PRIVATE : when you want your file to not access outside your application. MODE_APPEND : when you want to append the preferences with the already existing preferences. MODE_WORLD_READABLE : when you want all applications to have read access to your file , Deprecated in API level 17. MODE_WORLD_WRITEABLE : when you want all applications to have write access to your file , Deprecated in API level 17. Open AddTodoActivity.java file and add the following code , on click of "Add Todo" button we are storing title,id and priority to preferences. Note: When the state of RadioButton changes the function "onRadioButtonClicked" gets called , if RadioButton "High" is checked then priority is set to true else false. What is the difference between commit() and apply() ? commit() : Writes the data synchronously , blocking the thread its called from . It returns a true value if the operation was successful and false in other case . apply() : Writes the data asynchronously , it does not returns anything whether the operation is successful or not . How to view SharedPreferences file ? Open MainActivity.java file and add the following code , We are retreiving data from preferences file and displaying it in textViews. Retreiving data requires two things - one is key(always a string) and other is default value which we provided is based on our datatypes. Open MainActivity.java file and add the following code . We can clear the data from Shared Preferences by editor.clear() function . In this we have added another button on click of which we cleared the data from TodoPrefs.xml .